Metal and Mineral Analysis is available from The Self Heal Clinic. Our test comes with a personalised 20+ page report including a full treatment outline. The cost of this test when done as part of The Ultimate Health Program is $270. It is $370 when done as a casual client. It requires a hair sample which must be prepped correctly. Details about why we use hair are outlined towards the end of the article below. For more information on The Ultimate Health Program and/or getting a Metal and Mineral Analysis done, please use our contact page or call us on 06 378 7705. Why get a Metal and Mineral Test done? All metals and minerals carry an electrical charge. It is the electrical charge they carry that gives us life because without it, our cell machinery would stop working and we would die. Minerals are at the base of everything – they enable vitamins and other essential nutrients to get into and to be used by cells and are also the key nutrients used by the body to maintain a healthy internal state by preventing its chemistry from becoming too acid or too alkaline. Your body does its best to keep minerals in balance, but when they are either not available or are being blocked for some reason, symptoms of the resulting imbalances occur. I Don’t Have Metal Fillings Or Work In A Toxic Job – How Could I Be Exposed to Metals? This is a common question for many people. Because heavy metals can’t generally be seen, smelt or tasted, most people assume they don’t have a problem with them. There is also a distinct lack of education about metals, their persistence and their effects. There is I think, a greater awareness of how animals are being affected by mineral and metal imbalances than there is about the impact on humans. Farmers for example, will often address mineral imbalances in their animals but not think to do this for themselves or their families. Amalgam fillings (tin, mercury), Tuna (mercury), chocolate (copper), deodorants (aluminium, zirconium), tattoos (mercury, lead, nickel, cadmium, aluminium, chromium, copper, titanium, barium), vaccines (mercury and aluminium), eye makeup removers, eye shadows, mascaras, eye drops, nasal sprays, nappy rash creams (all may contain a preservative called thimerosal which is 45% mercury) table salt (aluminium), contact lense solution (mercury), super phosphate fertilizers (cadmium), blood and bone (cadmium), rubber tyre residue (cadmium), brake pad residue (copper), treated timber (arsenic), paint (lead, arsenic, cadmium, chromium), water coming off old corrugated roofing, flashings, guttering and nails (iron, zinc, copper, lead), fumes that settle on the land and household surfaces (arsenic, copper, lead), coal burning (mercury), eye shadows and face powders (aluminium, titanium, lead, nickel, cadmium), commercial chook feed (arsenic) and metal solder (lead, cadmium, tin, antimony) are just a few of the sources. There are many others that are not listed here. “Storm water from urban catchments in Christchurch contains considerable amounts of contaminants such as heavy metals and various suspended solids that impact our urban waterways. The three most common metal contaminants impacting urban waterways in Christchurch and around New Zealand are zinc, copper and lead. Heavy metal concentrations measured during storm events in local waterways were found to be consistently higher than recommended 80% ANZECC (2000) guidelines for the protection of aquatic species. Sources of heavy metal contaminants have been identified from car traffic in parking lots/roads and metal roofs”. The NZ Government is also currently looking into legislating the use of super phosphate fertilisers because the cadmium they contain has contaminated many of our growing areas to such an extent that it can no longer be ignored. When your body is exposed to heavy metals through food, air, water, vaccines, chemicals, pesticides and fertilisers, it will remove them to the best of its ability with the resources it has available at the time. Anything it can’t remove quickly will be taken from the blood as fast as possible to limit any potential damage; hopefully to be removed later when more resources become available. If suitable resources never arrive, your body will have no option other than to continue to store those metals and any other metals that come along. In addition, if good minerals are in short supply, your body may see a metal with a similar looking structure to the mineral it needs and decide to use it as a substitute. In this way, metals get stored away in tissues and organs until your body has the energy and resources to remove them. The best way to test for them is through Hair Mineral Testing. Hair Tissue Mineral Analysis does not lie; if metals or the indicators of their presence are there, then they are. You could liken minerals to being the spark plugs of the body. It doesn’t matter how big, new or flash the motor is, if the spark plugs are not able to plug in correctly there will be a problem. If 3 out of the 4 spark plugs work, the engine will limp along rather than operating at full speed. Many health conditions are the end result of a deficit of minerals or an inability to use minerals correctly, and many people have systems that are firing on 3 cylinders or less. Metals and minerals cannot be created or destroyed. 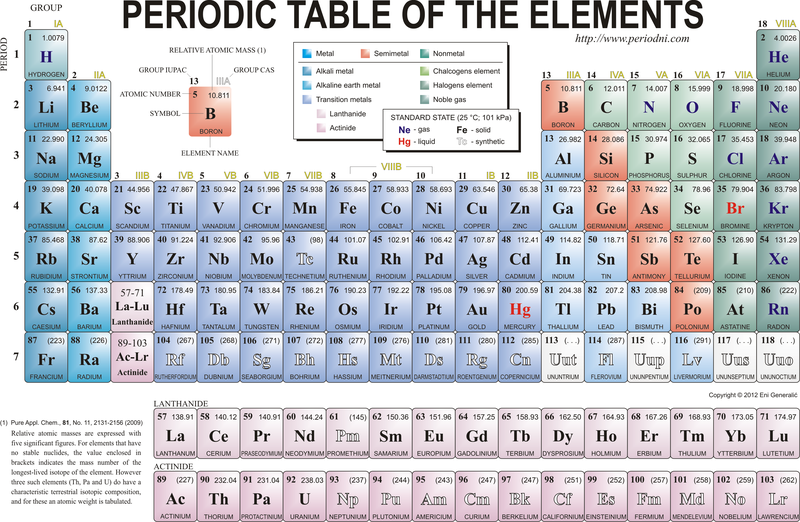 They are ‘elements’ and are arranged on the periodic table according to their atomic structure. Metals and minerals that have a similar external structure (or valence shell) are grouped together in rows (for example zinc, cadmium and mercury). This means they have a similar electrical structure on their outsides. Your body has ‘preferred’ minerals that it likes to work with. When these are available in abundance, your body will choose these minerals in preference to anything else to carry out the many chemical reactions that make you who you are and which keep you alive. If there is a shortage of a preferred mineral (eg: zinc), your body will tend to go for another metal or mineral on the periodic table that looks similar to its preferred one (eg: cadmium or mercury), because on the outside it looks like it might do the same job. Your body is geared for survival and if choosing a less suitable metal or mineral allows at least some function to be maintained rather than no function, then that is exactly what it will do. We have a hugely under-mineralised population and this selection process is one of the major mechanisms that can cause toxic levels of metals to accumulate in tissue over a life time. Another largely overlooked way that metals accumulate in the body is by crossing the placenta during gestation. Most metals have the ability to travel across the placenta and if metals are being mobilised during gestation, some of them will end up in the fetus. If there is a deficit of preferred minerals when the baby is developing, the next mineral or metal that looks like it might fit the job will be used in place of the preferred ones. As a result, children can be born carrying some surprisingly high levels of toxic metals. If the child’s body remains mineral deficient as is so often the case, those metals will not be easily cleared after birth and the metal load will likely build with every new exposure. The introduction of super phosphate fertilisers (high in cadmium) and many of the pesticides (containing arsenic, copper sulphate, lead and mercury) commonly used in agriculture have resulted in a mineral depleted food supply and higher levels of toxic metals in the food chain. As a result, successive generations have become increasingly unable to detoxify metals successfully leading to earlier onset of many disease conditions. While copper is not technically a heavy metal, it accumulates in the mother (serum levels rise to 2-3 times that of pre-pregnancy) during pregnancy and the unborn child during gestation. Stock piling occurs mainly in the liver. Nature does this because it accommodates the fact that copper and zinc compete with each other, but both are required in the right balance. By stock piling copper prior to birth nature balances the fact that zinc concentrates in the breast milk. After birth the two minerals should ideally balance each other out. Many women in today’s world are copper dominant prior to pregnancy and zinc depleted. As a result we are getting more children who are copper toxic and zinc deficient; who have weakened digestion and a tendency to accumulate mercury and other metals as a result. This may be a partial cause in the rise in allergies, skin problems, yeast infections, ADHD, ADD and autism. Copper and heavy metals also accumulate through the blocking effect that xenoestrogens (things that mimic estrogen such as the oral contraceptive pill, fertility treatments, HRT and many chemicals) and antibiotics have on the way metals are removed and minerals are utilised. Copper has several functions in the body. 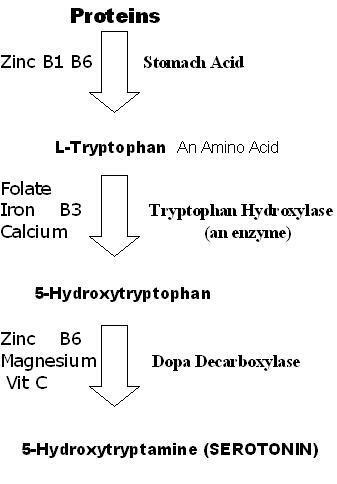 It is a vital component for brain chemical production, the function of lactase (the enzyme you need to digest lactose in milk), the production of collagen and elastin (the fibres that give strength and flexibility to your tissues), the regulation of histamine and the function of Cytochrome C oxidase (an enzyme that allows cells to ‘breathe’). It is health giving until it reaches levels that can no longer be balanced by its mineral ‘partners’, or is in the body in a bio unavailable form such as copper oxide. There was a time when our only copper exposure was through food which meant it was generally balanced by other minerals. Now we have copper in brake pad residues, copper plumbing and fungicides which are used on food crops, that contain copper. While researching for this article, I discovered many government documents which express concern about the level of copper (and cadmium and lead) contamination in our environment. We normally have a number of substances available to us which protect us from copper overload, including vitamin C, zinc, manganese, molybdenum, cysteine, glutamine, histidine and threonine. However if these are deficient and/or there is a high estrogen or xenoestrogen load, copper may accumulate to toxic levels and then will behave like a heavy metal. Xenoestrogens come from 4 main sources and there are few people who have not been exposed to them on a frequent basis. They do not “disappear” and they are often found stored within the body’s tissues in toxicity studies. The first group are pesticides such as DDT, DDE, Atrazine, Endosulfane, chlordane, lindane and the like which accumulate in the fat cells of the body. While some of these like DDT are no longer in use, they are still leaching from the environment. The second group are petroleum products, many of which are currently used in solvents like toluene, cosmetic products, shampoos, liquid hand soaps, cleaning products, Vasoline, Vick’s Vapour Rub, baby oils, moisturisers, sunscreens, barrier creams, emulsifying creams, car products, fuels and manufacturing. The third group are plasticizers such as PCB’s (now banned but persistent in the environment), BPA (the monomer used to manufacture polycarbonate plastic and epoxy resins used as a lining in most food and beverage cans), PBB (computer monitors, televisions, textiles and plastics foams) and those found in plastic lunch wraps, food containers and flexible drink bottles. The last group are hormones; those that are prescribed (oral contraceptives, fertility treatments, HRT) and those that come with the production of animal products. Xenoestrogens block the removal of copper and so cause the body to lose zinc. When zinc is lost, the retention of mercury, cadmium and copper will increase. While copper is not technically a heavy metal and is essential in small quantities, it behaves like a heavy metal when it accumulates to toxic levels. Because it displaces zinc it will disrupt the stomach function, having a flow on effect through the entire digestive system. It also accumulates in the liver and can cause significant hormonal disruption because of the way it affects the detoxification processes. Almost all hormonal, fungal, yeast and skin problems have their origin in a copper imbalance of some sort. The symptoms associated with copper toxicity are almost identical to those of mercury, and the two often go hand-in-hand. Xenoestrogens and metals can also cause things called “Channelopathies”. These were discovered during research on the causes of Chronic Fatigue Syndrome and refer to the ion channels that allow nutrients into the cells and toxins out of the cells. Ion channels sit in “vats” of oil in the cell membranes. Cell membrane showing channels (yellow, green, red). The grey “lollipops” are the fats. A high proportion of the oils in these “vats” are omega essential fatty acids (EFA’S) and the type of oil needed varies from blood type to blood type. This means the cell wall requirements are different for each blood type and that difference is encoded for on Chromosome 9. If EFA’s are missing or in short supply, the body will build other fats into the cell membranes which will reinforce the channelopathy problem. Some diuretic medications cause the body to lose potassium, magnesium, zinc and sodium which can increase the retention of mercury and lead. Calcium channel blockers decrease cellular calcium levels and can therefore increase the retention of lead. Copper, cadmium and mercury levels are increased by hormonal medications and chemicals that mimic estrogen. Selective serotonin reuptake inhibitors (antidepressants) affect the way iodine works in the body. These are only a few examples. Metals and minerals do not work in isolation; they have very intimate relationships with each other. Some work in carefully balanced partnerships or ratios with other minerals, and others have differing structures which can make them competitive with each other. Your body does its best to use hormones and organs such as the liver and kidneys to control mineral levels and their ratios to each other. Being able to see how these ratios have become disturbed provides very important clues as to what the true tissue stores of both metals and minerals are, what types of blockades may be in place and how well the hormonal systems of the body are working. The ratios can also provide information as to the levels of minerals that have oxidised and become toxic, as is often the case with copper. The best way to do this is through Hair Tissue Mineral Analysis. 2) Rapid loss of nutrients. 3) Poor tissue uptake of nutrients. 4) Intracellular blockades which prevent nutrients being used by cells easily. Reduced nutrient intake can be caused by any problem in the food chain and includes poor food choices! Rapid loss can be caused by increased liver excretion, a lowered kidney function, oxidation, chronic bleeding or heavy menstrual loss. Poor tissue uptake comes down to poor digestion and things like channelopathies. Intracellular blockades mean that the levels of a nutrient can be normal or high, but that the function of that nutrient is being “cancelled out” by another compound which is acting as an anti-nutrient. Mercury for example, has a 1000 fold antagonism to zinc and is a common example of an anti-nutrient affecting a nutrient. To correctly prescribe nutrients, an understanding of anti-nutrients is very important. Anti-nutrients are things like xenoestrogens and metals which block the uptake or use of nutrients. It is known that depression is due to a lack of the neurotransmitter serotonin. The medical approach to this is to use a drug that holds whatever serotonin is available in the nerve synapses for longer, giving the serotonin more “punch”. It does nothing however to address the lack of serotonin which is the real problem. The chart below shows the process by which serotonin is produced. When you understand that copper blocks zinc, magnesium, folate, vitamin C, B 1 and iron and that mercury blocks zinc and iron, you begin to see why addressing toxicity of metals is so important. It also explains why metals have such an impact on people’s cognitive function among other things. Heavy metals are toxic no matter what, and contrary to government guidelines there is no ‘safe’ level of them. When it comes to removing them, understanding what they are and how the body works with them is very important. It is especially important that they are NOT indiscriminately ripped out of the body in the way that often happens with chelation because this can leave tissues and organs without anything to replace them. This is the main reason behind the ‘detoxification reactions’ many people experience when undergoing chelation. It is important to allow the body time to remineralise and then to shift the metals at a pace it can handle, in whatever sequence it deems appropriate. The first goal of your treatment should be remineralisation and ensuring your digestive tract is healed and functioning well. Heavy metal testing is a controversial subject and is one I have looked into in depth. Many practitioners advocate using a urine provocation test to identify the levels of heavy metals in a person’s system. This is a test that forces the metals from the body via the urine and can cause severe reactions in some people due to the chelating agents used. I choose not to use it because I consider the risk of the person having an adverse reaction too high, and prefer to use hair mineral testing. Hair mineral testing has the advantage of providing valuable information about the beneficial minerals, not just the heavy metals. It is also easier to ascertain the full impact of any heavy metals when using a test that shows how the beneficial minerals are being disrupted. The body has preferred minerals that it likes to use to run its enzyme systems. If these are not available in big enough quantities at the right time, the body will look for another metal that carries the same type of external valence shell structure to fill the gap. By doing this the body ensures that its enzyme systems stay running, albeit at a lower, less efficient rate. Sometimes the closest looking mineral will actually be a toxic one, but to the body, that is better than nothing. Few practitioners recognise that heavy metals can serve this sort of gap-filling purpose or that the ratio of one metal or mineral to another can affect the uptake of those metals and minerals. This is another reason as to why it is so important to assess not just heavy metal levels, but also the uptake and balance of the beneficial minerals. When getting hair mineral testing done it is essential to use a lab that DOES NOT wash the hair in solvents prior to testing. This is common practice in the majority of labs world wide and can remove up to 15% of the mineral content from the sample. The sample must also be only from the first 3-5 cm of hair growing from the scalp. Hair longer than this has usually lost some of its mineral content and can alter a result. The metals/minerals test I use is done through a laboratory in Western Australia and they are one of the very few labs world wide that understand the importance of not washing the hair. This is the same lab that does all of the forensics work for the Western Australian Police. Metals and minerals work in pairs or threesomes. The test provides ratios of how well all minerals in the body are balanced as well as a reading of current heavy metal excretion. It is important to look at the overall mineral picture because the relationship of one mineral to its “mates” can reveal the presence of hidden toxicities. These occur when a heavy metal is not being actively excreted, but is causing disruption within the balance of other metals and is hidden more deeply in the tissue. The disruption patterns can be recognised by a skilled professional but are otherwise not obvious. When imbalances are corrected, it is not unusual to see heavy metal levels rise in the following hair test simply because the body has gained the equipment to start shifting them. If you are looking at doing a heavy metal test and the practitioner you are using is not able to tell you about the mineral ratios, patterns and hidden toxicities or is using a lab that washes the hair, I suggest you rethink where you are getting your testing done. Knowing the ratios of the major electrolytes (calcium, magnesium, sodium and potassium) is essential in resolving any health problem. Electrolytes govern the flow of nutrients and electricity through the body. Every reaction in the body relies upon the exchange of positive and negative charges and many of the channels that allow things to pass through the cell membranes are voltage-gated channels. This means they rely upon the flow of electrons to open and close them. The difference between a live person and a dead one is electricity! “Electrical” organs or tissues such as the heart and nerves are very susceptible to health problems when the electrolytes are out of balance. Hair mineral analysis is an excellent way of determining this balance and is generally a better way to go than blood testing except in the case of an emergency when a more immediate reading is required. Stress can have a huge impact on the balance and use of calcium, magnesium, sodium and potassium in the body through its impact on the adrenal glands. The adrenal glands are used to produce stress hormones and some other important hormones such as aldosterone. Aldosterone is the hormone that keeps the sodium and potassium levels in the body on an even keel through its action on the kidneys, and as the adrenals become stressed, their ability to produce aldosterone drops. This affects the balance of sodium and potassium, which in turn affects the body’s ability to use calcium and magnesium. The hair mineral test shows very clearly the impact of stress on the metabolism and how well the person’s body is coping with the stress load. It can provide a very valuable early warning sign of things to come and provides information as to how to work preventatively. A complete answer to this question could fill several volumes. As mentioned before, minerals are sometimes called the ‘spark plugs’ of the body. They are needed for millions of enzymes as co-factors, facilitators, inhibitors and as part of the enzymes themselves. As a result, they have a great deal to do with the health of our bodies. By analyzing mineral imbalances in the body, one can learn a lot about the causes and correction of hundreds of common physical and mental health conditions. Being able to monitor the levels of toxic metals is extremely important today due to our having a nutritionally depleted food supply, and the presence of environmental toxicity almost everywhere on planet earth. Studying toxic metals is a very important way of being able to monitor their spread and learn about their many damaging effects upon the bodies of human beings, animals, plants and other organisms. Why Use Hair and not Blood or Urine? Mineral levels in the hair are about ten times that of blood, making them easy to detect and measure accurately in the hair. The body often throws off toxic substances in the hair, since the hair will fall out or be cut off and lost to the body. Mineral levels are kept relatively constant in the blood even when pathology is present, making measurement easier and providing a tremendous amount of accurate knowledge about the cells and the soft tissue of our bodies. Toxic metals are easier to detect in the hair than in the blood. They are not found in high concentrations in the blood except right after an acute exposure. This is because the body will move toxic metals out of circulation as fast as possible to limit damage. Most tends to accumulate in the soft tissues such as the hair, as the body tries to move them to locations where they will do less damage. The body will also try to maintain the blood at a consistent pH, again to avoid cell damage, and will remove minerals from tissues at the expense of those tissues if necessary. Blood testing does not account for this and can give the impression that the level of a mineral is okay, when the tissue level may be substantially depleted. Hair testing provides a long-term reading, while blood tests and urine tests provide a more instantaneous reading of the body. Both types of readings have value in some circumstances. For example, blood tests can vary from hour to hour, depending upon one’s diet, activities, the time of day and many other factors. This is beneficial in some instances, but is often less helpful when seeking an overall metabolic reading. The mineral content of the blood is also kept fairly constant. These problems are not present with hair testing. At times of course, an instantaneous reading such as the blood provides is needed, especially in emergencies which is an area in which hair testing is not used. However, for nutritional balancing, blood testing simply will not work for the reasons given above. Urine testing requires the use of chelators to provocate the metals and literally force them out of the body. This carries a high risk of damage and many people react badly to this process. There is the likelihood that some of the uplifted metals may not find their way out, causing a resettlement into different tissues which can result in new symptoms occurring. This is a risk I am not willing to subject people to. Finally, advancements in computer-controlled mass spectroscopy and other technologies have rendered the hair mineral biopsy an extremely cost-effective, accurate and reliable test when it is performed well. Mineral analysis by mass spectroscopy-ICP and related methods is a standard testing procedure used in laboratories and universities throughout the world. Hair mineral testing on human and animal populations has been carried out for over 80 years. Well over two million analyses have been performed. Several thousand papers and other research have been published on this method of biological monitoring. Regarding toxic metals, the United States Environmental Protection Agency published a 300-page study in August 1979. They reviewed over 400 journal articles about hair mineral testing. The authors concluded that hair is a “meaningful and representative tissue for biological monitoring for most of the toxic metals”. 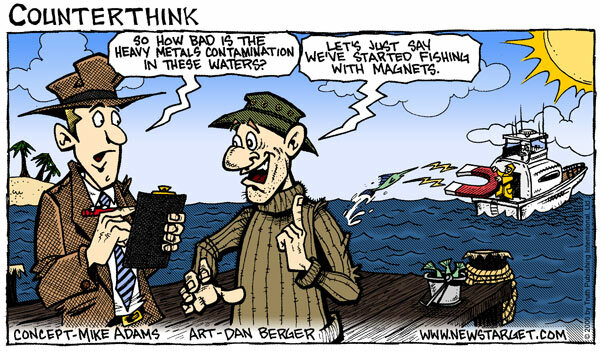 How do We Remove the Heavy Metals? Clearing metals must be done in the appropriate manner for safety reasons. I do not use the standard approaches of chelation using EDTA, DMSA or similar chelators because they indiscriminately remove too many of the good metals as well as the heavy metals. The standard practice of heavy metal removal is to do a cyclical chelation program of forcing the metals out and then trying to replenish the good metals before going back in with more chelation. This can be a harsh route to follow, and in my opinion the complexity of the body requires more respect than pulling out everything and then trying to replenish it by throwing a whole bunch of stuff back in for a few days before taking more out again. For the same reason, I tread cautiously with the use of chlorella and other plant based options. I prefer to remove heavy metals using nutritional balancing, saunas and Purely Earth Clay internally and externally. This enables the body to clear the metals at a pace that it can handle. (There are many testimonials on Autism websites that demonstrate the effectiveness of this approach). The function of both the liver and kidneys must be checked and the bowel must be in good working order.THERE ARE NO SHORT-CUTS. The last thing you want to do is to stir metals up and then find they can’t get out efficiently. Doing so causes unnecessary strife and carries a risk of organ damage. Heavy metal detoxification is a process that can take between 6 months and 2 years depending on the degree of intoxication. Most people will gain improvement within a year.